Some games are so ambitious for their time that the technology is simply too crude to support them. Fallout is a good example. Fallout was an extremely ambitious game that tried to allow players almost complete freedom to do as they wished. Sadly, the graphics engine used by the designers resulted in such extremely long loading times that it killed the freedom the designers were striving for. Fallout was a game in search of an engine. Command and Conquer Generals provides a graphically stunning world, but is completely devoid of plot and originality. CCG is best summed up as an engine in search of a game. Most new RTS games, starting with Starcraft, give us three races to choose from: a powerful but expensive race, a cheap expendable race, and a race in between. Nearly every other major game in the genre (Warcraft 3, Age of Mythology, etc.) has followed this formula. CCG is no exception. The United States has powerful but expensive units. The Global Liberation Army (GLA) has cheap, fast units. China provides a balance between both extremes. Westwood apparently wanted to make the game more timely by allowing the player to choose a terrorist organization; a rather brave step considering the current world situation. The GLA have the most interesting and controversial units. From SCUD launchers loaded with anthrax to suicide bombers saying "I love a crowd", Westwood certainly was sailing into uncharted waters with this game. A lot of attention was paid to the GLA's units to give them an authentic terrorist feel. My favorite unit of theirs is the angry mob, which consists of a group of people with firebombs and AK-47s. The GLA has a distinctly Arabic flavor, although (probably to avoid more controversy) none of their missions are in any current hotspots. The Command Center looks a lot like a mosque, and Eastern music plays during their missions. My main problem with the GLA is that you must play them exactly has you would play the US and China to win. Typical terrorist tactics do not including building up a base and running over the US forces with hoards of tanks. The US has a more traditional mix of tanks and fighters. Their missions seem to be based on previous real life missions the US has done. Their first mission is storming Baghdad, and a later mission has you rescuing downed helicopter pilots from an angry mob. China has the same type of units as the US, although their units are cheaper and weaker. Overall AI is decent, providing a challenge without blatantly cheating. Units, however, need a lot of work. Many times they seem to get lost on bridges and in passes, and you'll need to keep a close eye on them. What is particularly troubling is that units will not move or fire back on a unit that is outside their immediate range of fire. This means your tanks will just sit there as missile after missile rains down on them. Of course you can click on the unit to get it to fire, but by the time you notice the problem several units have already died. Worse yet, if a friendly comes between your unit and the enemy it is firing upon, it will continue to fire and hit your friendly unit instead. Ive actually lost a construction vehicle because it happened to get between two of my tanks and an enemy unit. Prepare to babysit your units and rely more on base defenses to get the job done. The original Command and Conquer set the design by which all other RTS games have followed: a series of missions with cut scenes in between. Although the missions have always been the meat of the game, the plot provides perspective by giving the player the illusion that his actions in the missions have an impact in the larger world. The maps in the previous C&C games gave you the idea that you were pushing back Soviet forces, or invading Nod territory, or whatever. Without the background, RTS games are simply a series of disjointed missions that focus on the immediate objectives at hand and that's it. This is exactly how CCG feels in the campaigns. The cut scenes are now done with the engine rather than a video. Many other RTS games, such as Warcraft 3, have pulled this off to great effect. The problem with this is that while the CCG engine models explosions beautifully, it does not create highly detailed models of the units. That's fine, it wasn't meant to do that. During the game you don't realize this because you are looking at a far away view of your units. But when the cut scenes feature close-ups of the units, they appear grainy and ugly. Also, you cant skip past the cut scenes, and some can be fairly long. A simple video would have given the same information (hopefully more) about the mission with a higher quality picture. It is plainly obvious that little if any thought was given to the storyline. One GLA mission has you destroying an American base in Turkey to reduce their air power. Why? I have no idea. None of your other missions are based in Turkey, nor is any reason provided why US airpower there is particularly troubling. Their final mission has you hijacking a large rocket and hitting some city. 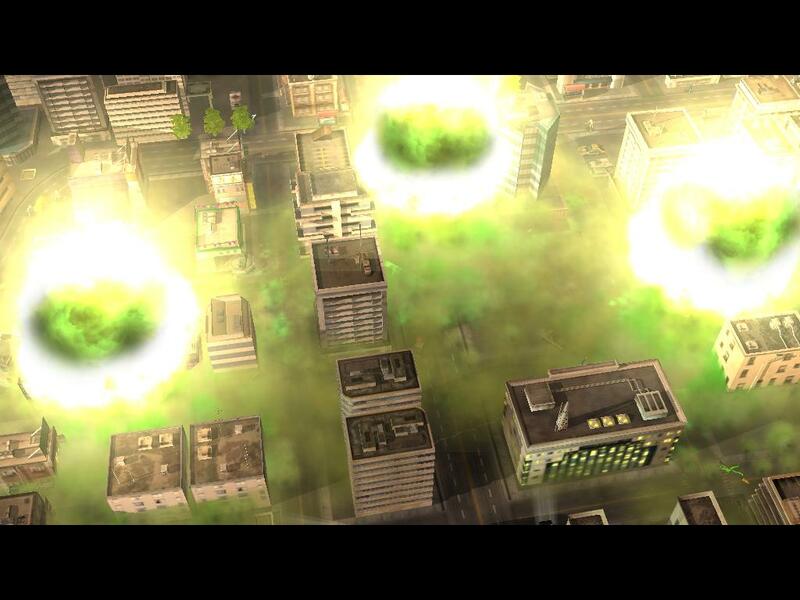 Although the special effects are cool, you have no idea even what city is being hit. The final cut scene for the US campaign is supposed to focus in on a US flag, but the victory screen covers the flag up. Sloppy. Things like this gives the game an overall rushed feeling, as if I were playing a beta and these elements would be added in later. You might as well play the skirmish levels. There is hope with the CCG Worldbuilder scenario editor that comes with the game. You can create your own missions and cut scenes. Unfortunately, it is a beta, so many features do not work correctly or at all. Hopefully the online community will create some better missions with more thought than Westwood did. Having seen the previews and screenshots, I had high hopes for Command and Conquer Generals. That Westwood delivered such a mediocre game makes me suspect that it was pressured to release it ASAP. This is all not to say that you wont have some fun with CCG. Multiplayer was a blast (but then it almost always is) and I encountered few problems over a LAN. There is also the perverse joy of nuking or using an anthrax bomb on helpless civilians. But once you've had your fill of this, CCG gives you little reason to go back. In the end I would hesitate to recommend Command and Conquer Generals when there are so many better RTS out there.